Moon is about a solitary lunar employee who finds that he may not be able to go home to Earth so easily. It is a science fiction/thriller film that appears to have a "2001: A Space Odyssey" and "Solaris" feel to it. The early reviews are good though this one is still a renter for me. Watch the trailer above. Let me know what you think. 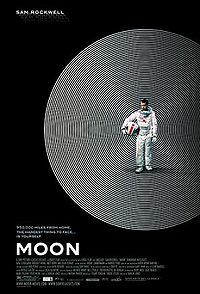 Will you go to see Moon in the theater on June 12th or rent it? If you have seen it in the theater should I go see it and why?